Athletic supplements for women aren’t the same as supplements for men. While that might sound obvious, it’s common for females to consume products designed for men because many of the drink mixes marketed for muscle building found on store shelves don’t say “for men” but contain a male’s ideal blend and ratio of products. SHREDZ BCAA + Glutamine for Women is different. Women find it harder to gain muscle and burn fat than men do. That’s why they seek supplements with low levels of carbohydrates and also search for ingredients which might support a higher rate of metabolism. Both men and women have a hard time remembering a simple rule about metabolism, however: this system needs fuel. It will obtain fuel from the easiest source, calories you just ate, followed by muscle, then fat. Fat is the last to go unless you consume a type of amino acid which promotes the utilization of fat and protects muscle. Here’s what you find in this women’s supplement from SHREDZ: BCAAs plus Glutamine. 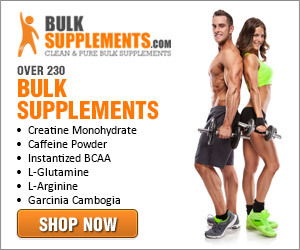 Yes, men’s BCAA products also include Glutamine, but it is much more critical to women’s fitness and fat burning. As for BCAAs, they have to be a part of your diet. Nothing in your multivitamin activates BCAAs in your system because Branched Chain Amino Acids do not exist in your blood stream to be released. You have to consume them by eating soy, cottage cheese, red meat, lentils, and/or BCAA supplements. This drink mix powder for women contains Leucine, IsoLeucine, and Valine (the 3 BCAAs) plus Glutamine, Potassium, and Sodium. The latter two are among the minerals known as electrolytes which are lost when we sweat. Everything we know about these ingredients comes from other sources because SHREDZ fails to provide a product breakdown. It’s a good thing there is already a lot of science out there describing how BCAAs, Glutamine, and electrolytes work. BCAAs are essential muscle-building amino acids which also safeguard muscle fiber against metabolic breakdown. In other words, if you take BCAAs anytime from shortly before to shortly after a workout, muscle building is more effective and efficient. Your system will look to fat sources for energy. Consuming calories directly after a workout also helps and these drinks aren’t rich in calories. SHREDZ flavors their drink mix for women, but not with sugar. The minerals replaced by a single serving of Shredz BCAAs + Glutamine help to keep the circulatory system working so you don’t feel dizzy after an intense session of weight lifting, running, or HIIT. They also prevent muscle cramps. Glutamine comes in more than one form, but the amino acid found in this product is essential to metabolism. Women seek it out for the purposes of weight loss and healthy cell function/repair. Muscle cells suffer when they are put through their paces so Glutamine helps them to recover. As a blood-sugar regulator this amino acid enables you to utilize glucose effectively and fight fatigue. Women who take this supplement create lean muscle and lose fat while enhancing healthy digestion, enabling quick and thorough uptake of other nutrients in foods and meal replacements or vitamins. A scoop of this flavored powder in water will leave you feeling energized and strong.